Lady Globes magazine chooses Ayelet Shaked as Israel's most influential woman. Forbes had selected her as 'woman of the year' in July. Lady Globes magazine has chosen Justice Minister Ayelet Shaked (Habayit Hayehudi) as 'Israel's Most Influential Woman'. 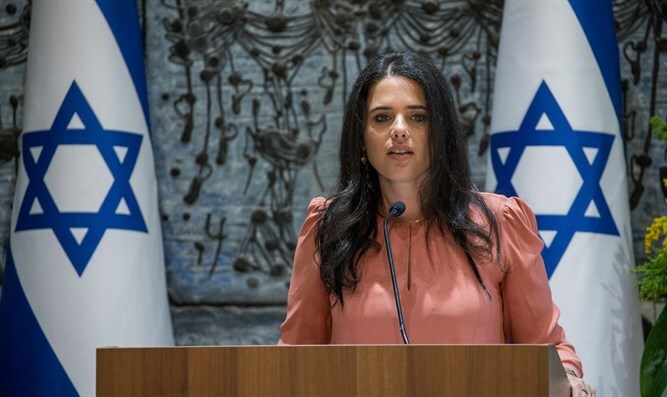 In a survey commissioned by the magazine, 20% of respondents said that Shaked was the most influential woman in Israel, with actress Gal Gadot coming in second at 13%. Israel Bank Governor Karnit Flug took third place with 8%, followed by Culture and Sport Minister Miri Regev (Likud), and outgoing Supreme Court President Miriam Naor. "Thank you to all the readers for selecting me. Its a compliment. " Shaked tweeted. In July, Forbes magazine chose Shaked as 'Israel's Woman of the Year.' The list included 50 women from various fields: scholars, philosophers, directors, businesswomen etc. who have a significant influence on Israeli society.